The world's first retirement home for captive raised dolphins and whales could end up being in Nova Scotia or Washington State, which are both on the shortlist of possible locations—a list that also includes a couple of alternative sites in British Columbia. The effort to establish the retirement community for cetaceans started two years ago when the Whale Sanctuary Project, based in the United States, announced it was looking at sites in North America where it could set-up a large seaside enclosure. The president of the non-profit group, Lori Marino, said: "The writing is on the wall for all of these (marine parks and aquariums) that hold cetaceans—dolphins, whales and porpoises. They are really going to need to phase this practice out if they want to win favour with the public." There are ongoing talks with government officials, local residents, fishermen and indigenous groups, but the organization has yet to submit a formal proposal to US and Canadian officials. Marino, who is a neuroscientist and expert in animal behaviour, having studied marine mammals for 25 years, said: "There's so much distaste for keeping these animals in tanks and asking them to perform for their supper." She added, “There are animals right now living in concrete tanks who may live for another 20 or 30 years. The idea of them living under those conditions is really inhumane and intolerable. This is the solution." 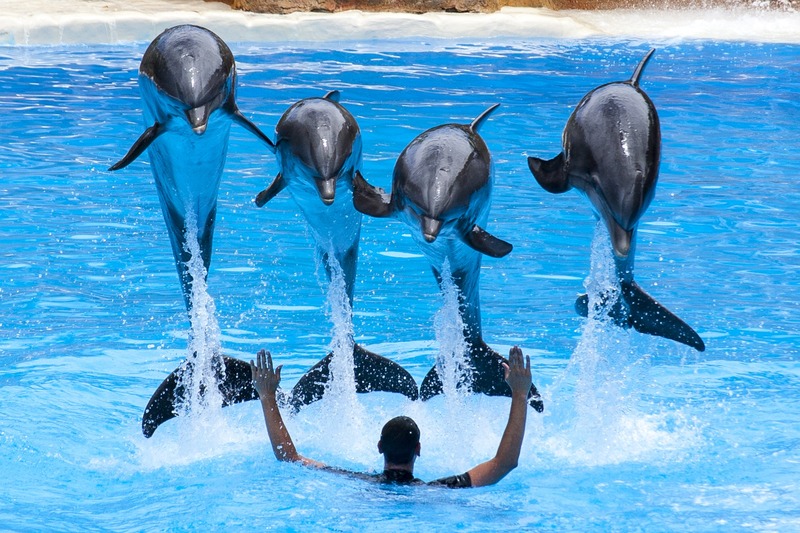 Unfortunately, dolphins and whales, which are raised in captivity, cannot be returned to the wild since they lack the skills needed to survive. One of the Whale Sanctuary Project's many international advisers is renowned marine biologist Hal Whitehead, a professor at Halifax’s Dalhousie University. He said, “As we've learned more about (whales and dolphins), it's clear that life in the tank is very far from how they would normally live their lives in the wild." He explained that there will be challenges when establishing a seaside enclosure, saying: "It's not an ideal life for any of these animals, but it's a helluva lot better than where they are now." Critics argue the sanctuary plan is flawed because it will be difficult to keep the orcas, which can weigh up to 5,400kg (5 to 6 tons), contained. Pathogens are also an issue for marine mammals raised in captivity, and these could infect wild populations. To meet this challenge, Whitehead said there are plans to erect two nets to keep the whales in. There are also plans to have veterinarians monitor the cetaceans, to reduce the risk of illness. A decision is planned to be made before the end of the year, with the aim of having the 28-hectare sanctuary operating by 2020. Nearly $2 million has been raised for the $20-million project, with a fundraising drive expected to start soon. The Change For Animals Foundation reports that at least 2,300 cetaceans are still held in captivity around the world, including about 53 killer whales, 200 beluga whales, and 2,000 dolphins.